Here at Hume Doors we are mostly known for our wide range of internal and external doors, but we actually offer a lot more! Have you heard about our fibre cement range? For over 20 years we have been proud distributors of PRIMA™ fibre cement cladding, lining and flooring solutions. PRIMAaqua™ is one of the products in our fibre cement range and it’s perfect for renovators. PRIMAaqua™ has been specially formulated for high traffic areas – zones that can sometimes be tricky to renovate. 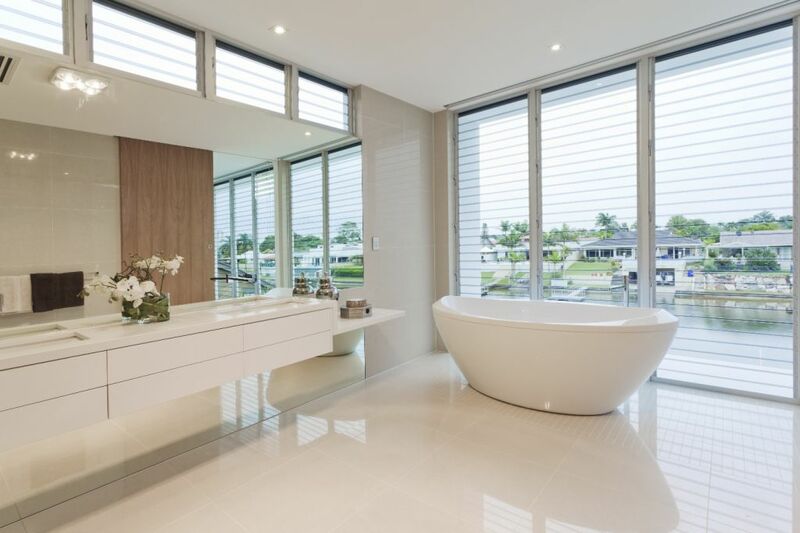 Its water-resistance makes it perfect for bathrooms, laundries and kitchens – all very popular rooms when it comes to home renos. It’s a DIYers dream as it allows for maximum customisation; PRIMAaqua™ can be painted, wall-papered, or tiled over. PRIMACTU™, an eco-friendly internal underlay for ceramic tiles. Suitable for wet and dry areas, it is designed to limit the movement inherent in timber, particleboard and plywood substrates. Installation of PRIMACTU™ is a cinch as it is manufactured with pre-printed fastener points, and when installed and maintained as directed is expected to have a minimum serviceability life of 50 years*. PRIMACTU™ is stable, strong and durable, cost effective and versatile. It is also fire resistant, asbestos free and tough against decay and most chemicals. Think of more than just doors when it comes to Hume, think full home build solutions. Check out the products for yourself, download the informational PDF – or get in contact with us today to ask more.